Local 6 ILWU runs a hiring hall out of its West Bay (San Francisco) and East Bay (Oakland) offices. Members are dispatched according to seniority with the Union (1. Black Book 2. Red Book 3. Work Card ). New workers sign up with their social security number, and must bring their social security card and a government issued identification like a driver’s license. Dues are collected after working at a Local 6 shop. Hiring hall hours are from 7 a.m. to 9 a.m. Monday through Friday except holidays. The Business Agent at the hiring hall can provide more information about pay and the kind of work available. 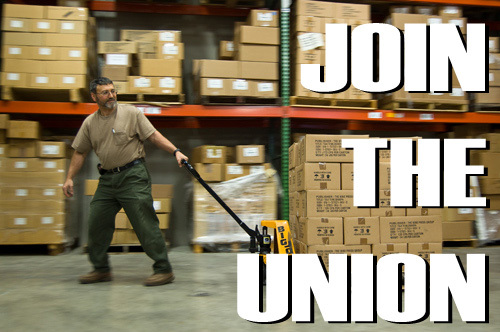 Often employees are interested in being apart of a union but do not how to form one. The National Labor Relations Act provides the legal framework for collective bargaining, but there are many laws that protect workers. “Know You Rights” information is also available in Spanish. If you are interested in organizing your coworkers to join Local 6, please fill out the form below or call the East Bay Office at (510) 638-5605. ILWU International The record of the ILWU, its origins and traditions, is about workers who built a union that is democratic, militant and dedicated to the idea that solidarity with other workers and unions is the key to achieving economic security and a peaceful world. California Labor Federation The California Labor Federation is made up of more than 1,200 AFL-CIO and Change to Win unions, representing 2.1 million union members in manufacturing, retail, construction, hospitality, public sector, health care, entertainment and other industries.